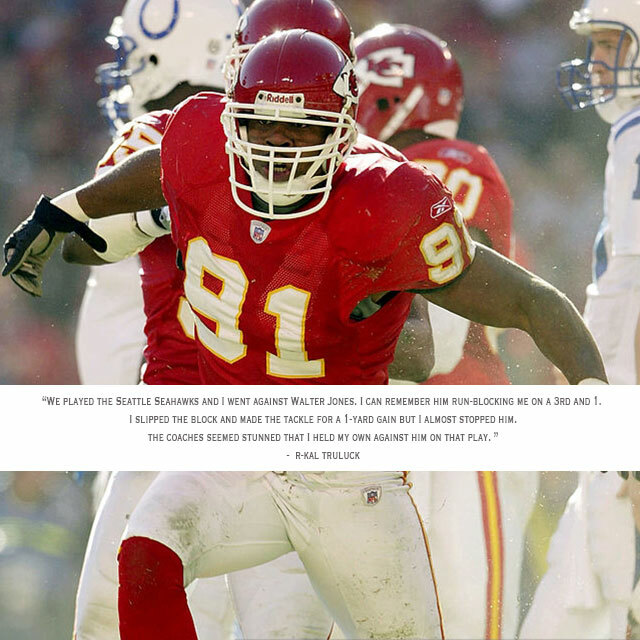 In 2002 I played for the Kansas City Chiefs. We played the Seattle Seahawks and I went against Walter Jones. I can remember him run-blocking me on a 3rd and 1. I slipped the block and made the tackle for a 1-yard gain but I almost stopped him and the coaches seemed stunned that I held my own against him on that play. It was a confidence-builder because I didn't know what I was doing, and just kept coming at big Walter as hard as I could on the plays I came in against him.